AST 2 is only provided to Apple stores and a very few select ‘Authorized Apple Service Providers’ (AASPs) that are under strict confidentiality and business contracts mandating what parts they can use and what they charge. This shift will leave third-party repair shops out to dry, not to mention the rest of us that are accustomed to fixing our own hardware. 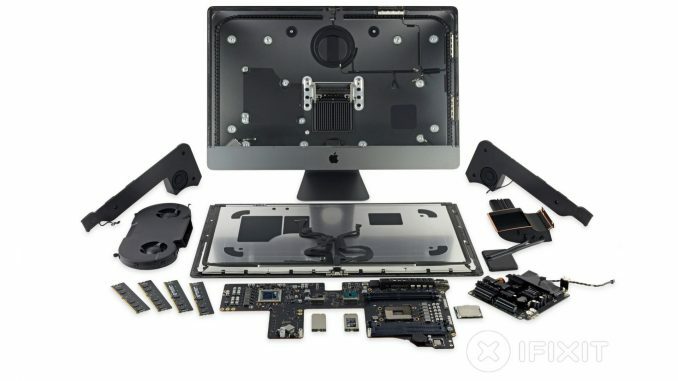 To test the new requirement, iFixit purchased a new 2018 MacBook Pro, disassembled it, and swapped displays with another 2018 MacBook Pro unit. After that repair, both MacBook Pros functioned normally – even when updated to Mojave. After that success story, iFixit swapped logic boards between the MacBook Pros and saw the same results. This signals hope for independent Mac repair – at least for now. Ultimately, iFixit explains that even though Apple outlined its new requirement in a document sent to technicians this week, it doesn’t appear to be live just yet. Of course, it’s possible that a very near software update could retroactively render the “incomplete repairs” inoperative, the site notes. iFixit speculates that the software Apple is using in post-repair tracks serial numbers and other parts data as a way of “keeping their authorized network in line.” In other words, independent Mac repair could soon be no longer. What do you think of Apple’s requirement impending repair requirement changes? Is it the right move for security reasons? Let us know down in the comments!